I really like all of the swallowtail butterflies. 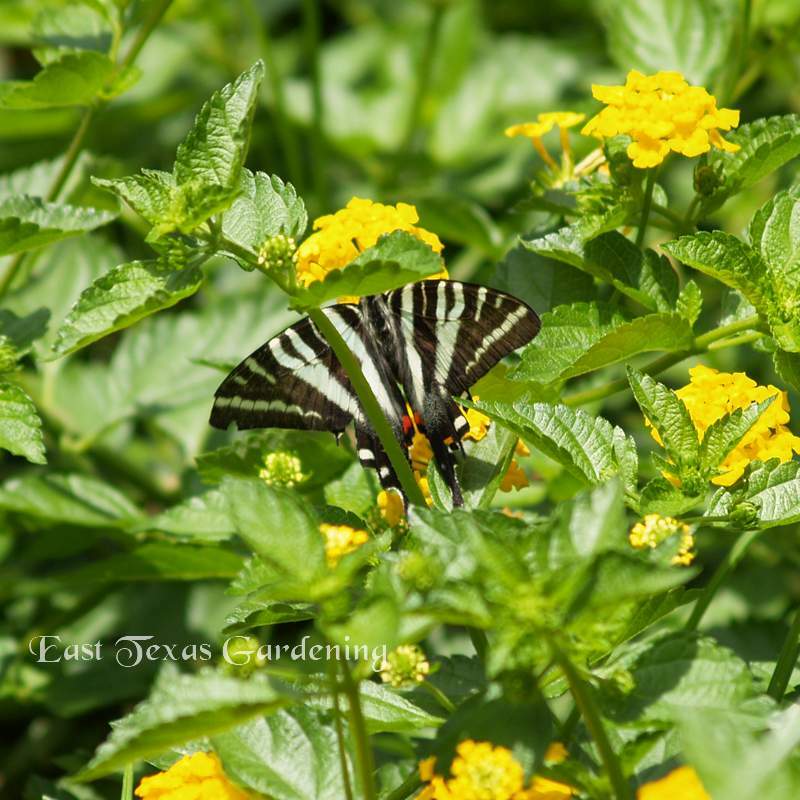 They are large, beautifully colored, graceful, and add so much interest to our gardens and environment. Many of the species are distinctively colored and marked so identification is unmistakable. Also, they all have particular requirements for larval host plants. 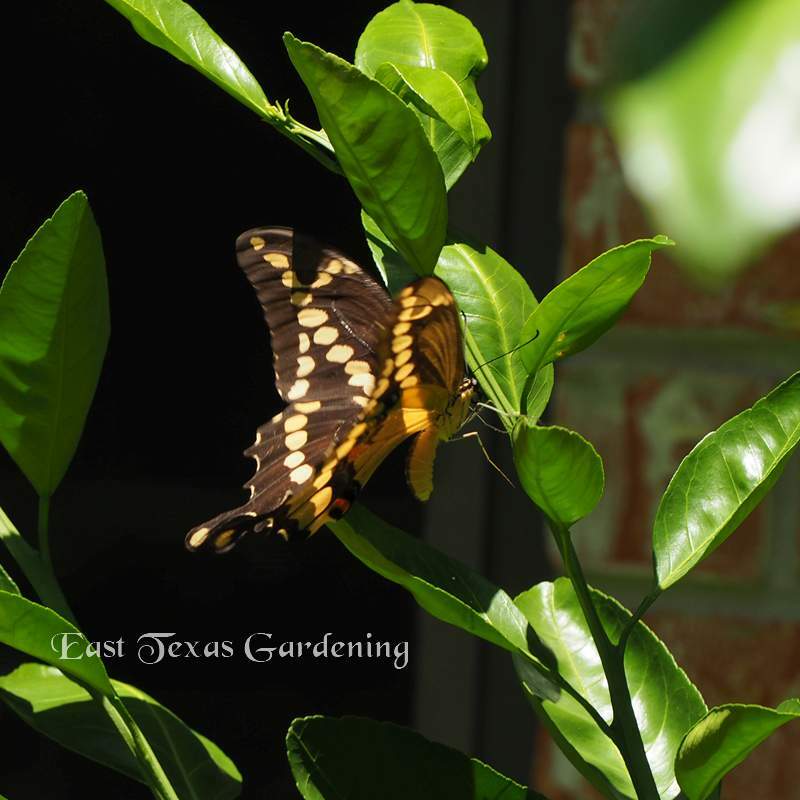 The beautiful zebra swallowtail main larval host is pawpaw, while the giant swallowtail host plants are mainly members of the citrus family. 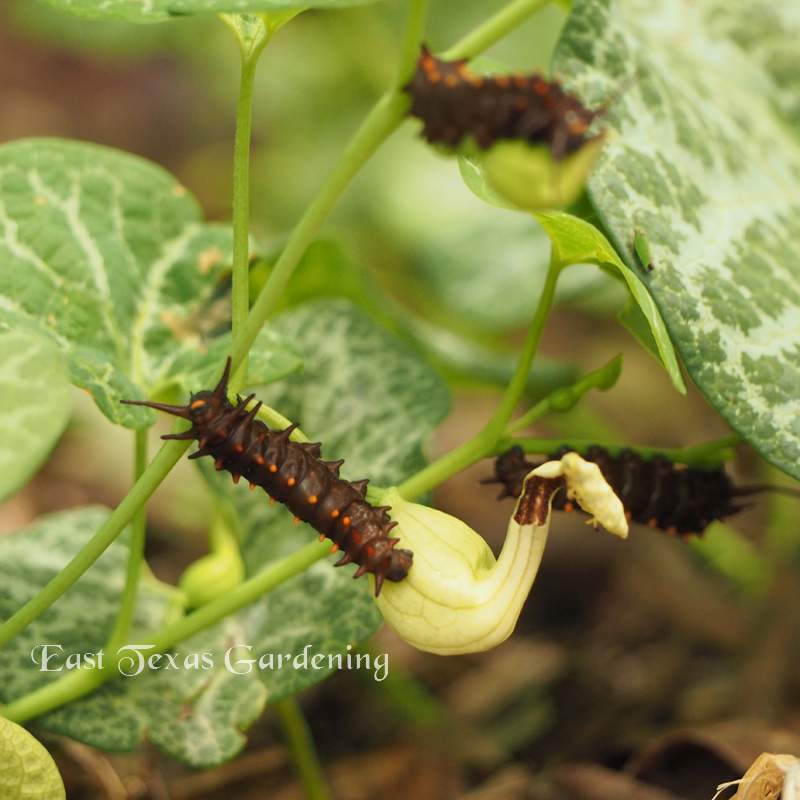 The Pipevine Swallowtail butterfly (Battus phileno) larvae feed on Dutchman’s pipe or pipevine (Aristolochia spp.) These plants have unusual flowers that are in the shape of a pipe such as Sherlock might have used. The plants have substances that have been reportedly used to treat various medical conditions, though none have been validated to be effective, nor is it recommended to use it for these purposes due to suspected carcinogenicity. 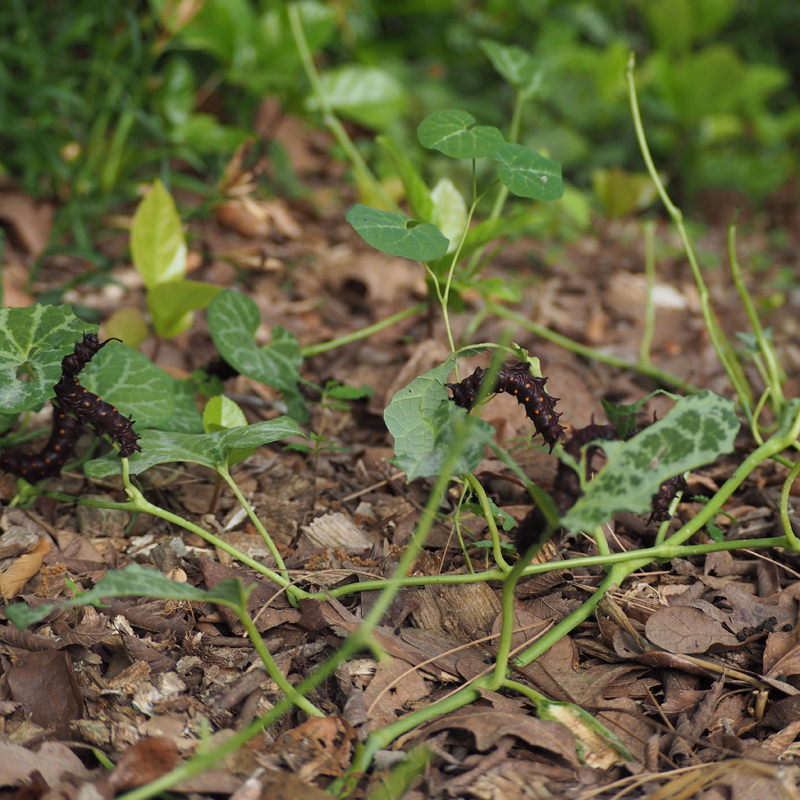 One of the uses in ancient times was somehow used during childbirth, hence the genus Aristolochia which in Greek roughly translates to “best delivery or childbirth”. The chemicals in the plants (aristolochic acids) apparently make both the larvae and adults unpalatable to birds. 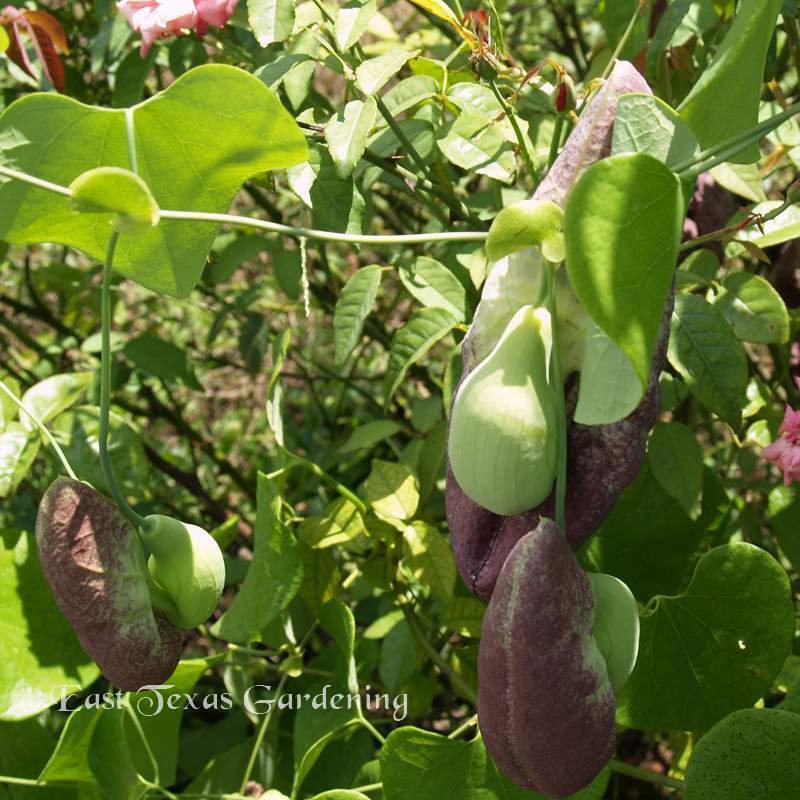 There are many species of pipevine, and some of the tropical kinds with very large, showy blooms (Elegant Dutchman's pipe or calico flower, Aristolochia elegans [synonym: Aristolochia littoralis)] are reported to be toxic to the pipevine swallowtail larvae. 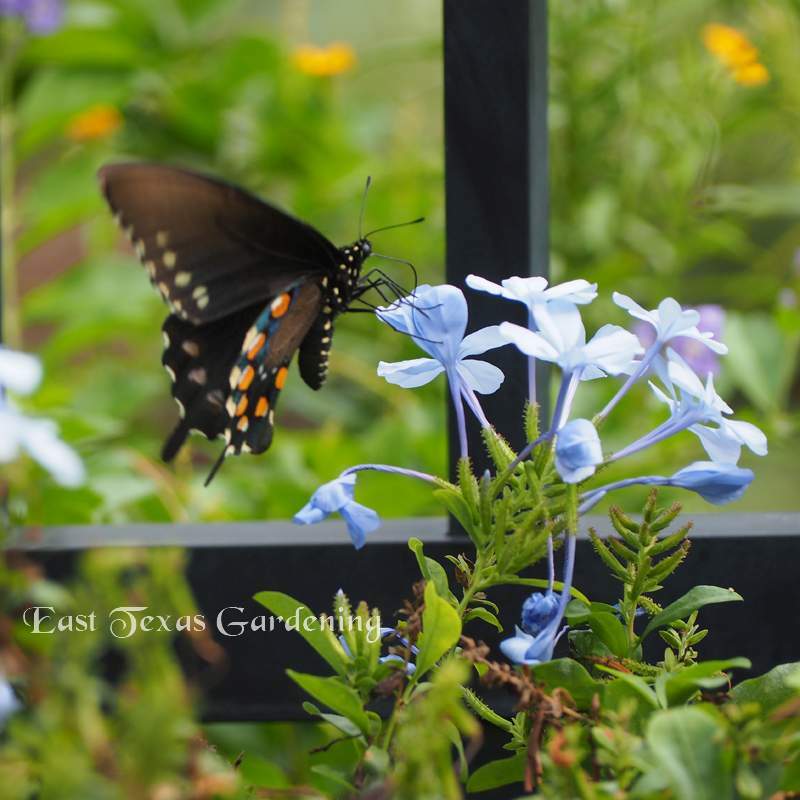 Pipevine swallowtails are similar in appearance to other swallowtail species including Spicebush Swallowtail (Pterourus trolius [formerly Papilio]), Eastern Black Swallowtail (Papilio polyxenes) and the female Tiger Swallowtail (Pterourus glaucus). (Note to taxonomists – please stop changing the names we grew up with!!!). All of these species are edible, but also mimic the Pipevine Swallowtail, so birds will leave them alone too. 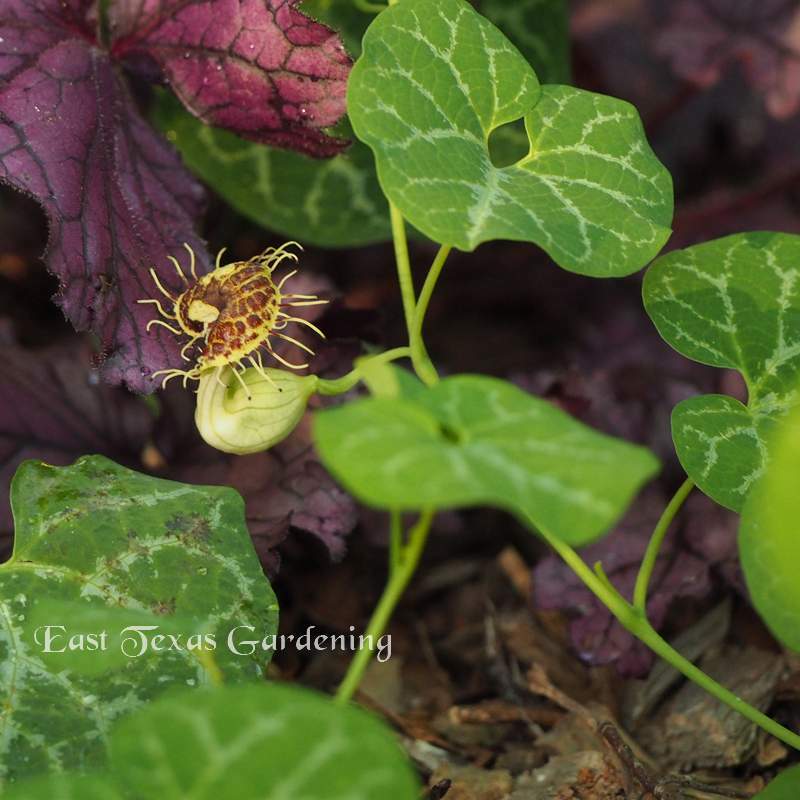 A few years ago, Dr. Brent Pemberton shared with me a few Dutchman’s pipe transplants (A. fimbriata – native to South and Central America, but hardy here in Texas), which I planted in a semi-shaded spot in my yard, mainly to attract the Pipevine Swallowtail adults for laying her eggs. 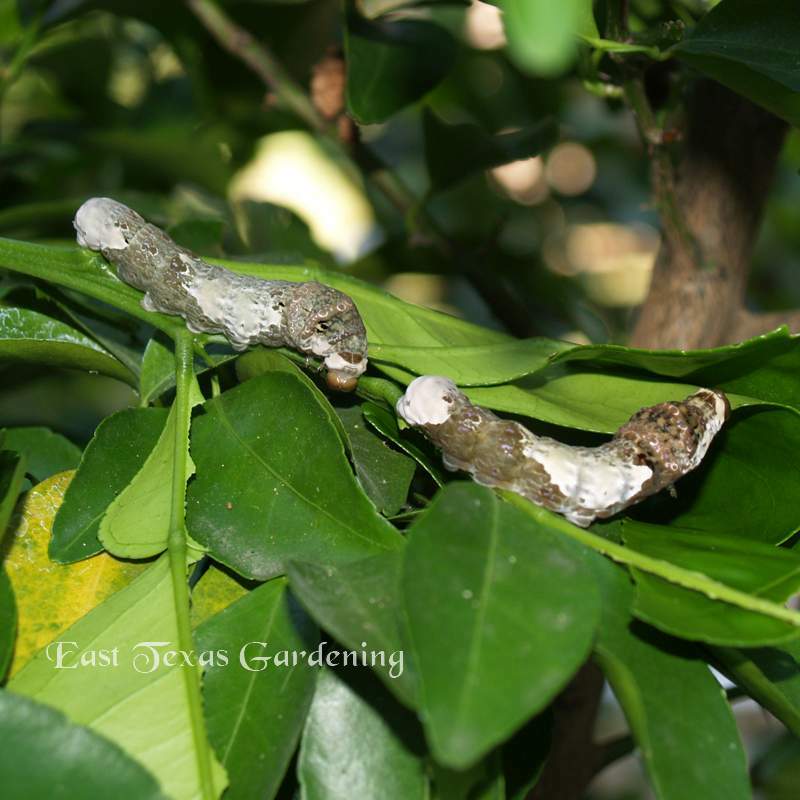 They survived over the years, and even have produced a few seedlings, but I never saw any larvae or eaten leaves. A few days ago, I was relaxing outside and looking in the general direction of these pipevines when I saw a dark swallowtail flitting about, nectaring on some nearby dianthus, and then wandering about the Dutchman’s pipe plants. Suddenly, in a blurry flash, a resident leopard frog leaped and just as quickly the butterfly disappeared. 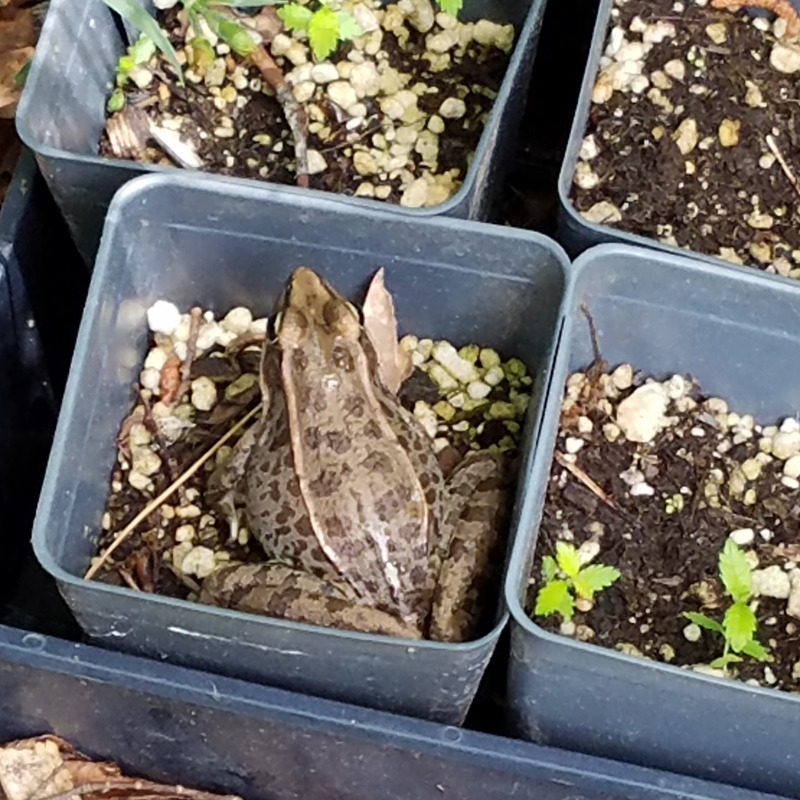 I went over to see if I could find predator and prey, but the frog quickly jumped to safety in a nearby ‘Kaleidoscope’ abelia. But what I did discover is over 15 Pipevine Swallowtail caterpillars munching away on my plants. They have grown over the last few days, and hopefully they will finish this portion of their lifecycle before there is nothing left to eat but stems on my plants. They are even eating the seedpods right now. The larvae are black with rows of bright orangy-red dots and black filaments along their sides, plus the characteristic osmeteria (retractable horn-like organs) on their head. Hopefully there will be a next generation of Pipevine Swallowtails, and I’ll be ready as I’ve sowed a couple of flats to produce more transplants. Caterpillars nearing maturity and not leaving much left to eat!